I’ll admit that I had a bit of a hard time with this week’s Travel Theme! In the most literal sense, I had plenty of new things – my husband and I had gone a little crazy with Black Friday and the various Christmas sales, but somehow that didn’t seem to fit the theme. Besides, who wants to see pictures of the ties I got him?! Not exactly thrilling subject matter. Although they are nice ties, hmm. So it made me think about new and what that meant to me. The new places we had traveled to, new recipes we tried out, just things that were different from our same old… and lo and behold there were quite a few photos to choose from after all! Wishing you all a happy and joyful New Year! Greeting a new day in a new country during our trip to Puerto Rico. It was truly blissful to wake up every day and see this gorgeous scene from our balcony. The days were warm, the breezes were soft, and the company was great during our trip. 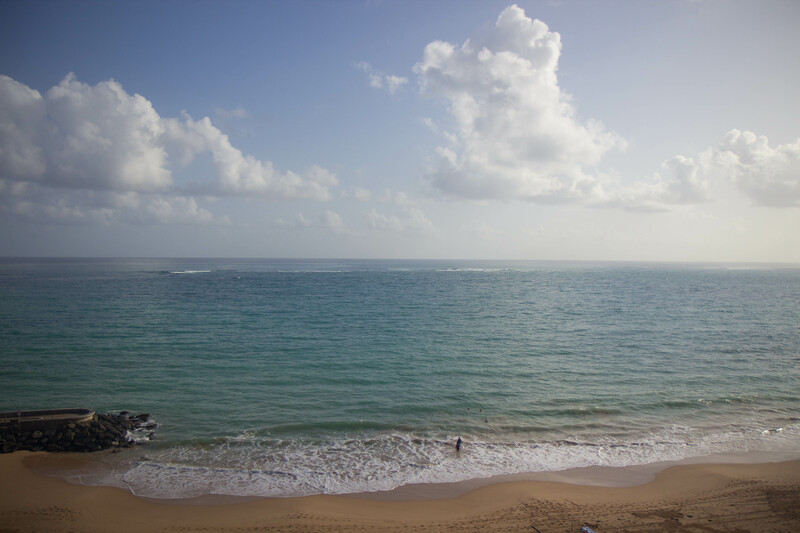 I would definitely love to go back to Puerto Rico and explore even more – we only got to sample a fraction of the island’s offerings! In a complete about-face, here we are after fresh new snow in Green Lakes Park in Fayetteville, NY! I’ve actually never been here during wintertime and the snow adds a pure beauty to the setting. 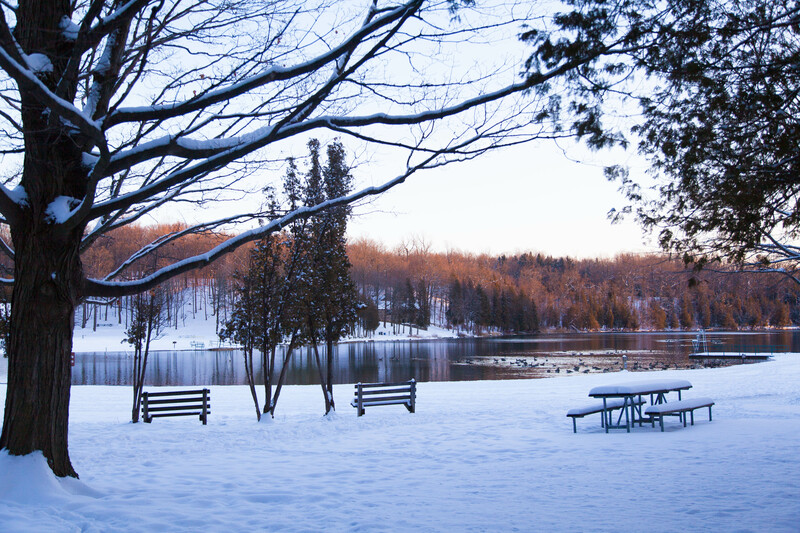 As I found out, the lake is beautiful in all seasons! 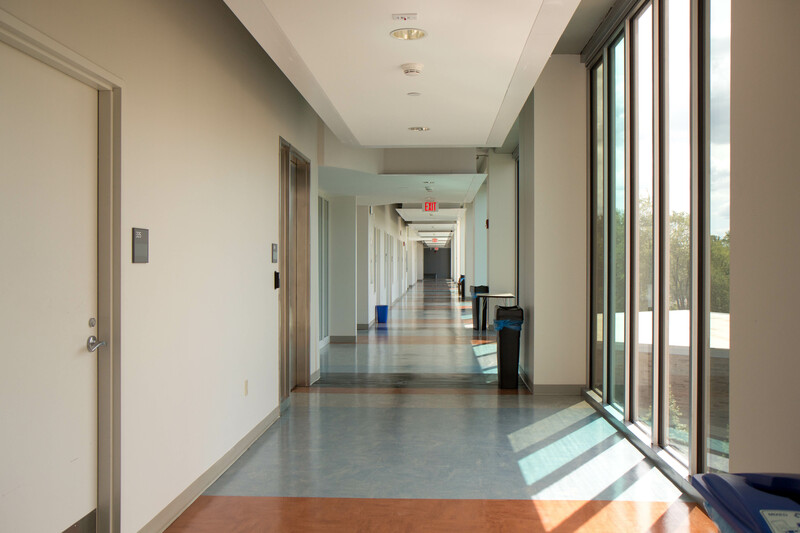 The hallway of the new pharmacy school at the University of Buffalo, NY. When I was in school, they promised our class this building would be finished before we graduated and that we would be taking classes in a new, high-tech facility (and with a TIM HORTON’S inside!). Of course, they finished two years after we graduated! Still, it’s a beautiful building and I hope later generations of students enjoy it! 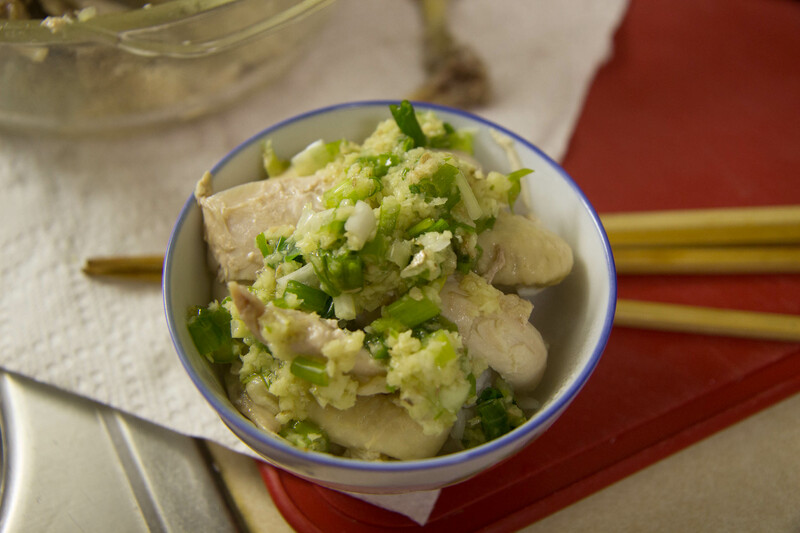 Sometimes, you don’t realize how much you miss a dish until you taste it again – and this was the case for white-cut chicken (bok cheet gai) with ginger and scallion oil. For a quick dinner, my parents used buy this and roast pork from a Chinese restaurant and heat it up with rice. The tender, flavorful chicken and the slight spiciness of the ginger-scallion oil go great together! We finally tried to cook this at home and three chickens later I think we’ve gotten the hang of it! Another classic Chinese dish that’s fairly easy to make and so good! 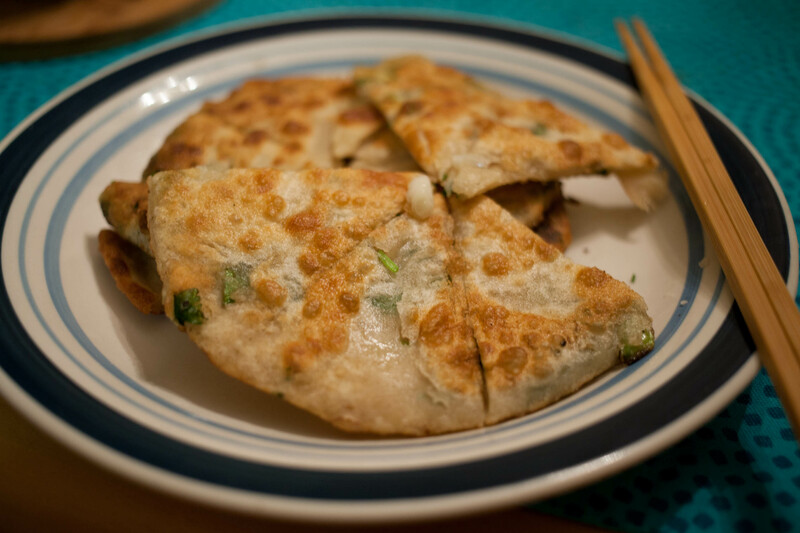 Scallion pancakes (chong yow bang) are delicious and filled with scallion goodness. We also put in cilantro, plenty of garlic and finely chopped onions too… Not sure if that’s traditional but the more the merrier. A new dish to add to our repertoire! I did get one gift that I had to put a picture up of – a new camera! Well, technically it is refurbished but it’s new to me and I’m still working out the differences between this camera and my current one. 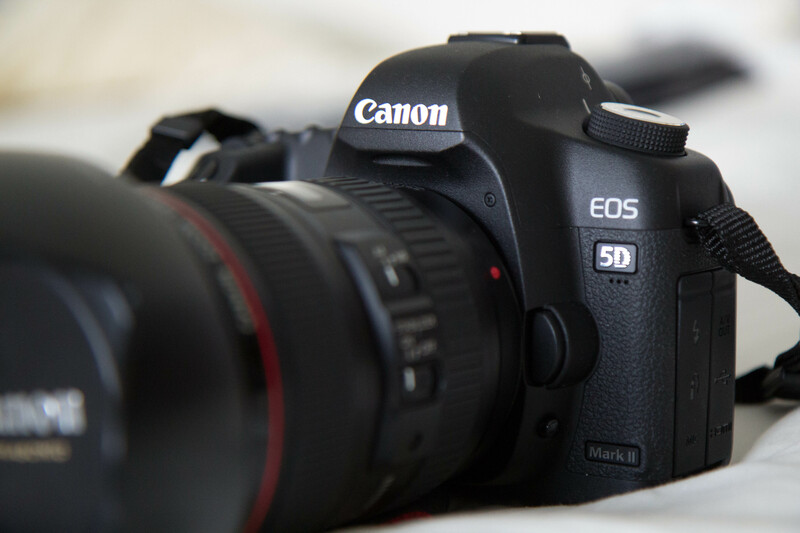 I still love my Canon Rebel T3i (great entry camera) but I’m excited to see the capabilities of a full-frame camera.